Once you have decided to enter the Forex trading world you will find that FX trading has many advantages over other capital markets. Including among others; very low margins, free trading platforms, high leverage, and around-the-clock trading. It is my main concern in this article to let you know what hours you should be ready and focused to start trading so you can expect the highest profits in your trades, and not just consider that around-the-clock trading means you should randomly trade throughout the day. 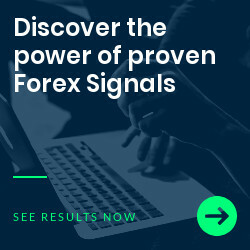 Forex Trading begins in New Zealand at Sunday 5pm EST and then is followed by Australia, Asia, the Middle East, Europe, and America in this order and throughout the day and throughout the week until Friday 4pm EST when the American market closes. Other important facts every Forex trader should know are: the US & UK markets account for more than 50% of the forex market transactions; Forex major markets are: London, New York, and Tokyo. Nearly two-thirds of NY activity occurs in the morning hours while European markets are open. And maybe one of the most important characteristics; Forex Trading activity is heaviest when major markets overlap. Considering the different time zones of the world and open and close times for Australian, New Zealand, Japan, America, and Europe markets. We can arrive to the conclusion that there are two major time gaps when two of the major markets overlap during trading hours. So if you want to catch the best trading opportunities of the day and you are in the American continent you must be ready to wake up early or go to sleep late sometimes. Of course, things change around the world. What’s the best region where to trade from if you can’t wake up early?… Maybe the Ukraine.